If it’s a Monday, you’re likely to find Heather Redman in her office at Seattle venture capital firm, Flying Fish Partners, working to help launch local portfolio companies like Ad Lightning, Otto, Element Data or Tomorrow “The Trust Fund for Everyone.” On a Wednesday, she might be discussing an apprentice program in the WTIA boardroom where she serves as Vice Chair. On a Friday, Heather could be heading out to a different board meeting for an innovative bank she helps steer. Or on a Tuesday, meeting with The Hawthorn Club, an international network for professional women in the energy industry. Is it any wonder that Seattle’s local version of Wonder Woman analogizes the current state of Seattle’s union, from Lake Union to Renton, and Redmond to Everett, as a race car whose tech-sector engine is powering the local economy for positive growth and change, albeit at sometimes dizzying speeds. It is this economic engine that Heather is committed to run smoothly, not to veer off course or sputter out, and, most importantly to her, for the good of the whole community. In this interview, Heather shares her perspectives on a wide range of issues where she and Seattle are taking the lead. Seattle24x7: Welcome, Heather. As our interview is taking place, news is breaking about the devastating earthquakes in Mexico City. We understand that a Seattle Metropolitan Chamber of Commerce delegation visited Mexico City during the past year? Redman: We’re absolutely broken-hearted over news of the earthquake tragedy. Seattle’s reputation is growing more than ever as a global technology player with an international reach. At the Chamber, we’re stewards of helping maintain and grow those international relationships. Each year, a group of Chamber volunteers takes three fact-finding trips — to a different city within our state, to a different state across the country, and to a different international destination. This year, we went to Guadalajara which is the Silicon Valley of Mexico and we also spent time in Mexico City. We met with various business leaders as well as government officials over several days. Guadalajara is a remote engineering center that is similar to Seattle in that respect. They’ve got some outstanding engineering programs at their universities, and they’re very aligned with industry including a number of companies like Intel, Oracle, and Microsoft. As both our regions are seismically active, we share special empathy over the tragedy and are following the progress as they recover. 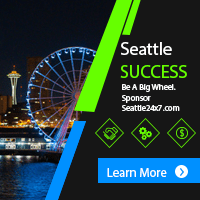 Seattle24x7: As Amazon has issued its casting call for North American cities to submit proposals to host a second headquarters for the company, dubbed HQ2, a number of cities have begun comparing themselves to Seattle and taking inventory of their business, academic, and infrastructure resources as well as their overall business climate. 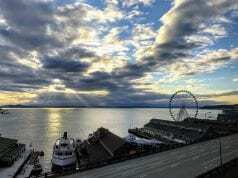 How would you describe Seattle in that regard? Redman: I’ve been working on an analogy — let me see if I can make it work. 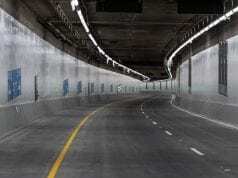 Think of Seattle as a super-fast race car. 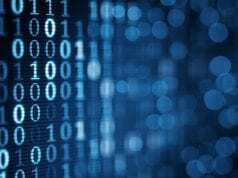 The engine in the race car that is making it go so fast is our technology industry right now, which is where most, although not all, of the growth is occurring. As the car speeds around the track, the passengers in the vehicle are getting bumped around, sometimes way too much. There are speed bumps, we don’t have good enough tires, etc. So there is a tendency to want to do something to the engine to slow it down. I think that is the wrong reflex in this situation. What we need to do is enable the car that is transporting us to be able to travel at the speed that the engine can produce safely and in a way that wins the race for everyone. We want to keep a strong engine performing for the economy. Why? It is providing many economic benefits—great jobs, great tax base, new diversity in our city and great density. And if we take drastic action to slow it down (like putting sugar in the gas tank) it may not just slow down, it may crash. We need our government and the people who elect our government to work together to make the car safe and beneficial for all of us—by adding great tires and great seatbelts, i.e., more housing, more schooling opportunities, more transit, and most of all more density to make all of this affordable. And business has to do its share to help, which requires treating business like a partner, not the enemy. Seattle24x7: Are we experiencing a Silicon Valley kind of boom? Redman: There are definitely lessons to be learned from the two regions. For instance, when we talk to officials and other civic leaders in San Francisco, they tell us, “We are really impressed with what you’ve done—you are way ahead of us on housing and transit.” That’s great, but we need to do it even faster. We’re talking about new housing, affordable places for people to live. More transit. We just haven’t gotten stuff built fast enough and in close enough. We need everyone to welcome more density in their neighborhoods for the good of all. And I’m walking the walk as a downtown dweller, but we need to do more for families to feel comfortable in the city to really make this work. Seattle24x7: Should the Greater Seattle area be in the thick of the competition for Amazon’s “HQ2”? Can we withstand that kind of growth? Redman: If I could wave my magic wand, which of course I can’t, I would not want Amazon to have a different headquarters that is somewhere else. Of course they’ll have offices all over the world, as they already do, but I want them to have their one and only headquarters in Seattle, which I think is the perfect place for them. There’s no better place for talent. People want to live here. What we’re doing on housing and transportation is smart, we just need to do more of it. We need to foster a better attitude and greater dialogue around growth and economic development and what that means for the region and everyone who wants to live here—not just tech people. Amazon’s growth is a great opportunity for us to do just that. So do I think we can fit another big influx of people in our region over the next ten years? Absolutely! But we need to pull together to make it a net positive for everyone, not a zero sum game. Seattle24x7: As a venture capitalist, you have observed that funding in the region’s startups is falling behind. Why is that? Redman: A couple of things, but ultimately, it’s the level of maturity. We’re still in a first generation mode. We’re also focused outwardly on global issues. Compare the Bill and Melinda Gates Foundation which is tackling problems on a global scale to an investor like Reid Hoffman who continually reinvests in smaller startups. You need both kinds of investors operating in your community and the world, and you need them to be able to do it at scale. That means growing institutions as opposed to just relying on individuals. We have a lot of terrific angel investors in town, but not enough venture capital, which is why I made the transition myself to try to help lead a movement. We need something like 3x the capital we have now focused on our early stage tech sector. And I know we’ll see a large multiplier in the return, not just financially as a community but culturally. Seattle24x7: Is a lack of small business investment a risk factor for the region? Redman: Well, here’s a hypothetical. If Amazon were to leave and we wanted to retain the talent that Amazon has grown here, we would need to fund that talent to start new companies. If we’re not set up to do that, we are extremely vulnerable. Amazon is not going to pull up stakes tomorrow and neither is Microsoft. But companies come and go. Take a look at the S&P 500 right now. The average tenure in the S&P 500 is less than 20 years. A company’s growth cycle is often really short. And so as a community, we always need to be providing our young talent the ability to start their own companies. We don’t have the professional capital here today in sufficient quantities to do that, but as Flying Fish, we’re working to remedy that. Seattle24x7: A major advantage in our region is what is happening with our universities. Paul Allen’s incredible endowment for the University of Washington was not about equipment or facilities, per say, but for doubling the number of people who can move through the Computer Science and Engineering program. We have also created an alliance with China through the GIX Institute. Redman: Societally, we’re entering an era where access to human capital is the most important thing — full-stop. And not just in education where we excel but also in human resources for employees and their families. Employers need to continually examine: Are the people that we’ve hired happy? How do we provide opportunities for their spouses and their children? How do we create a great quality of life? How do we hire from our own communities? How do we make sure we are inclusive and diverse in everything we do? In terms of education, higher education is vital, but so is the quality of our public schools and we need to significantly improve K-12 learning. Primary and secondary education need to measure up to the wealth and the talent of our state as much as higher education. Seattle24x7: You are vice chair for the WTIA, an acronym for the Washington Technology Industry Association. There have been a number of programs dedicated to mentorship and development including the FullContech Playbook of activities for communities and companies to engage. Redman: We are blessed with an amazing team at WTIA, led by Michael Schutzler, who are very creative and think outside the box. Just like at the Chamber where we are dedicated to bringing best practices to the workplace –gender equality and closing the wage gap are both of the highest priority as is offering opportunities to local people in general and underrepresented minorities and veterans in particular. Some of the things that the WTIA has done with Apprenti, which has been a very successful apprenticeship program, are moving in exciting new directions, and even going national. Seattle24x7: As Chair of the Chamber, things are accelerating, and smoothly. Thanks for taking up the challenges. More News from Heather: Gov. Jay Inslee has announced the appointment of Heather Redman to the Washington State University Board of Regents.